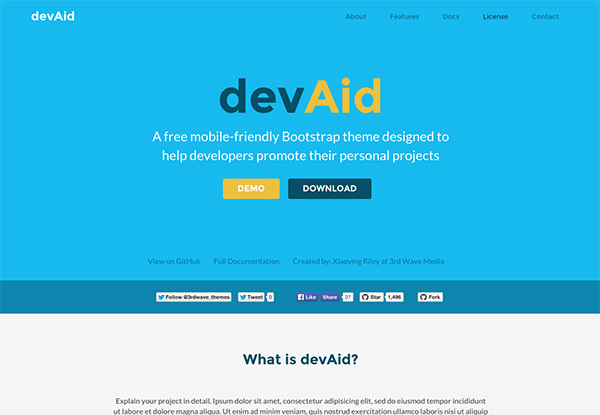 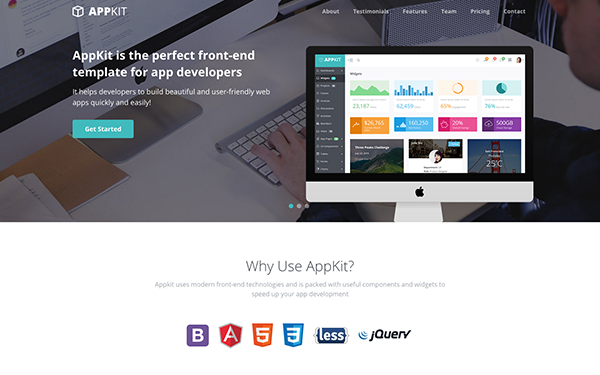 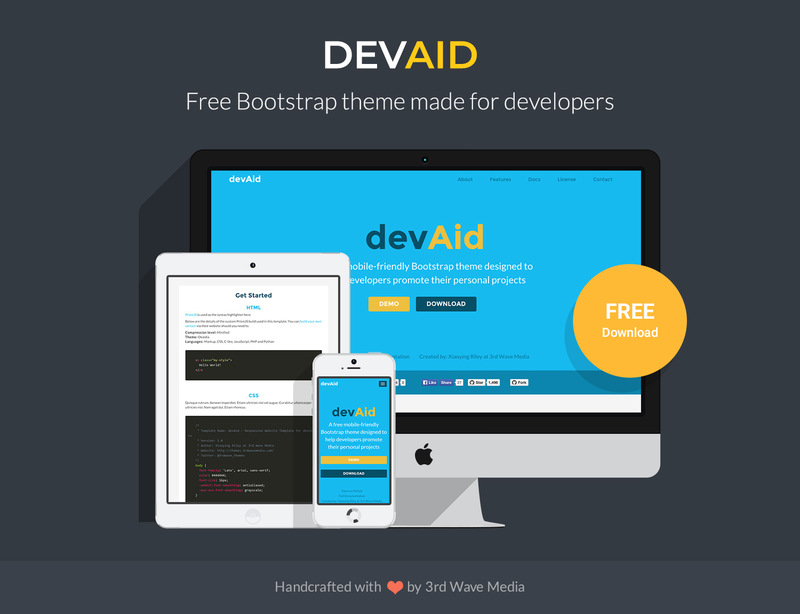 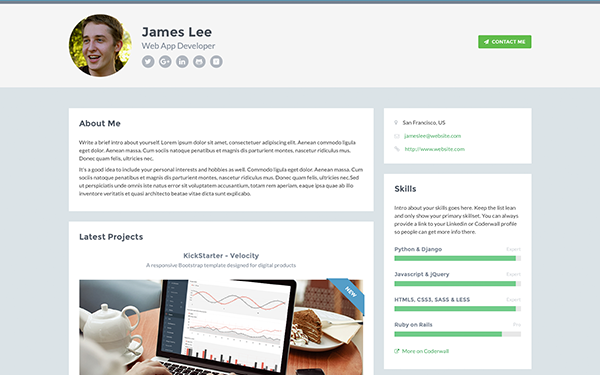 devAid is a free Bootstrap template designed to help developers promote their personal side projects. It comes with 4 colour schemes. 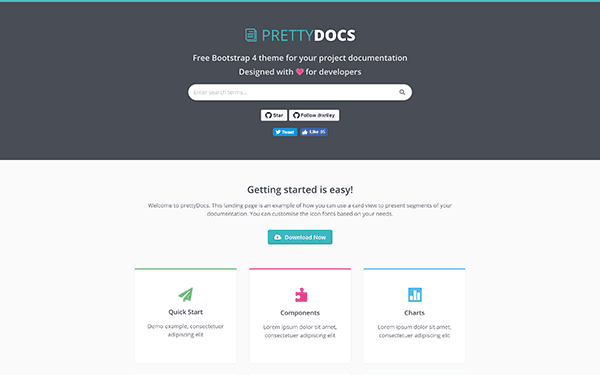 The source SCSS files are included so you can easily make styling customisations.